A.A. Bondy (born Auguste Arthur Bondy in Louisiana; also known as Scott Bondy ) is an American folk/alternative artist, the former lead singer of Birmingham, AL's Southern grunge darlings Verbena. 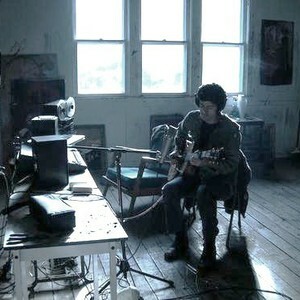 After Verbena broke up in 2003, Bondy retreated to a Catskills home in Palenville in upstate New York and in time began writing songs again, emerging with a stripped-down indie folk sound. He recorded and mixed his debut album, "American Hearts", at a barn near his home, releasing the project in 2007 on the Superphonic imprint. The album was picked up by Fat Possum and re-released early in 2008. He released his second full-length album, "When the Devil's Loose" on September 1, 2009 and his third album "Believers" in (2011).